One of the best things about being born on this very day in 1975 is that I was just old enough to see and be influenced by the decade’s amazing and magical treasury of superhero movies and TV. Christopher Reeve’s Superman movie changed my life in a big way, and television was home to Reb Brown’s Captain America (with clear shield, giant helmet, and a motorcycle that drove out of the van! ), Nicholas Hammond’s Spider-Man, and my two favorites — Lynda Carter’s Wonder Woman and The Incredible Hulk, starring Bill Bixby and Lou Ferrigno. New deals to bring both of those series back to television are now in various stages of completion. But as exciting as it all sounds on paper, both shows have got a lot to live up to. How do you even begin to find a woman who can fill Wonder Woman’s boots the way Lynda Carter did? There’s an episode in the show’s second season called “Screaming Javelin,” in which Mariposa, a dictator played by Henry Gibson in an outrageously puffy purple jumpsuit, kidnaps the world’s best athletes and forces them to become his island nation’s Olympic team. And right there, right then, in that moment, you can see the life she’s lived across every one of those centuries dancing behind her sparkling, ocean-blue eyes. Her words carry neither weariness nor weight but rather warmth and wisdom, goodness and strength, and power and grace. Of course Carter looked amazing in the costume — there’s absolutely no doubt that she’s one of the most beautiful women who ever lived. But it was the way she carried herself, and the way she listened and the way she spoke, that made us all fall in love with her, that made her speeches just as dazzling and as exciting as her kicks and leaps and silver bracelet bullet blocks. Deadline says that David E. Kelley, who just happens to bear the great and mighty honor of being Mr. Michelle Pfeiffer, will create a new Wonder Woman series for Warner Bros. and DC Comics. Kelley’s previous TV credits include Picket Fences, Ally McBeal, The Practice, and Boston Legal, among many others, so he’s got plenty of experience in writing and producing for the small screen. My only hopes are these — that the series doesn’t replace plans to finally bring Wonder Woman to the big screen, and that the casting honors what Lynda Carter brought to the role all those years ago. Finding a beautiful actress won’t be difficult. Finding an actress whose beauty begins inside and radiates outward in warm waves of strength and grace the way Lynda Carter’s did? That’s an order as tall as Carter herself, and shouldn’t be taken lightly. Bixby, like Carter, naturally exuded goodness and warmth. But the tragic circumstances of Banner’s life — his loneliness, his guilt, and his longing for a cure for the monster inside him — wore heavily on his soul, too, and Bixby carried those burdens with a quiet, noble sadness. But through it all, Banner always found time to stop and help those who couldn’t help themselves. And when the rage took over, so too did Lou Ferrigno, who played the Hulk not just as a force of raw, primal rage, but as a creature that still retained the heart and goodness of his alter ego. Yesterday, Deadline reported that ABC is developing an new live-action Hulk series. (ABC, just like the Hulk’s comic book home, Marvel Comics, is owned by Disney, and this will be the first major flexing of that new partnership’s muscles.) Little is known about the show at this time, but the timing is interesting, particularly on the heels of all the controversy surrounding Edward Norton’s Avengers dismissal and replacement with Mark Ruffalo. It’s a given that yet another actor will play Banner on television; including Eric Bana from Ang Lee’s 2003 movie, that will make four Dr. Banners in less than a decade. I think the biggest question right now is what they’ll do about the Hulk. Will he be rendered digitally, as the big-screen Hulks have been, or will an actual actor bulk up to Hulk out? I’d go with the latter choice; even the big-screen CGI Hulks didn’t always look as good or as real as they should have (especially the 2003 version, with looked like a green rubber bladder filled with water), and a television budget just isn’t going to be able to get away with the complexity necessary to bring that many pixels to life every week. Whatever happens with these projects, I hope the writers and creators remember what truly makes these characters timeless. I hope they find actors who embody all of the right qualities. And I hope they challenge and entertain the adult in me, while still making me feel like a kid again. An excellent article on Heat Vision has more information on the Hulk show, as well as a list of other Marvel properties being eyed for television development. Exciting times! I’d also like to invite you to read these interviews I did in 2003 about Bixby’s legacy. I spoke to Eric Allan Kramer (who played Thor in The Incredible Hulk Returns), Rex Smith (who was Daredevil in Trial of the Incredible Hulk), Elizabeth Gracen (from Death of the Incredible Hulk), and Mr. Lou Ferrigno himself. Of all the articles I’ve had published over the last 19 years, these are some of my all-time favorites. Stay tuned for more on these and other superhero projects! Smallville celebrates its 200th episode tonight! John…you and I are so simpatico on our feelings about Lynda Carter and Bill Bixby. With the current “remake” trend in Hollywood these days, I knew it would only be a matter of time before someone decided to revive these two characters/shows. 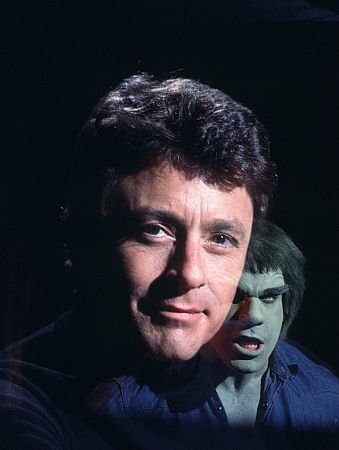 I grew up with Bill Bixby on my TV screen; ‘My Favorite Martian’; ‘The Courtship of Eddie’s Father’; ‘The Magician’ and of course….Dr. 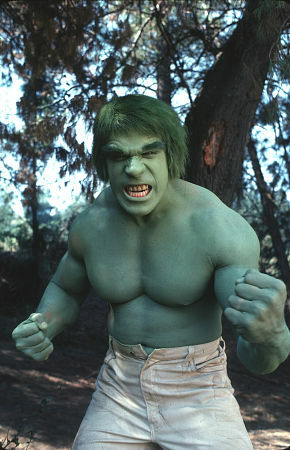 David Banner in ‘The Incredible Hulk’. Not to mention the legion of guest appearances on many comedies and dramas for over three decades. Everything you say about him is true. I miss him so much. 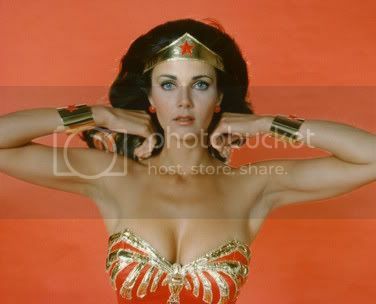 Lynda Carter IS Wonder Woman and choosing someone to fill those boots seems like a Herculean task. Like you say, finding a beautiful woman will be easy but Lynda transcends beauty. She is one of the classiest women to ever grace the screen and I hope the casting people can do her justice. Keep these tidbits coming. I can always count on hearing the real deal from you. Well said (as always). Technical hurdles for these shows will pale in comparison to the casting hurdles if the creators truly want to bring the same kind of goodness and grace and that Lynda and Bill had in the original shows. It makes me wish Timothy Olyphant could be in two places at once; the way he plays U.S. Marshal Raylan Givens on Justified makes me think he’d be an amazing Dr. Banner, but I still haven’t seen the actress who can pull off a Lynda Carter for that particular role. We shall see.